The mystery that had Agnes baffled is finally solved! 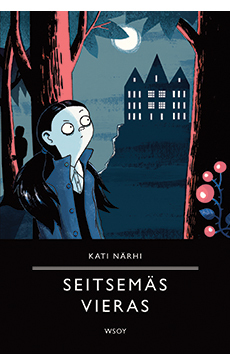 The tremendous finale to Kati Närhi’s popular trilogy of graphic novels, featuring orphan girl Agnes. Agnes visits Major Orkolora’s island with her aunt Sylvia. They are joined by a strange group of people who have all been invited to the mansion for different clandestine reasons. Agnes is ostensibly there on holiday, but soon becomes entangled in a web of mystery. Agnes is in her element revealing the petty secrets of the adult cast. Ultimately, she also solves the biggest mystery of her life: her parents’ fate.